Get latest The Hindu news headlines & current affairs updates daily with The Tutors Academy. The progress report on potential health impact from increased sanitation coverage through the SBMG, conducted by the WHO for the Ministry of Drinking Water and Sanitation, said India’s rural sanitation coverage escalated to 89.07% till August 2, 2018. The report notes that under the SBMG, 19 States and Union Territories were declared Open Defecation Free (ODF) and 7.9 crore toilet were built, while 421 districts were declared ODF. Also, more than 4.9 lakh villages in the country were declared ODF. The Ministry had notified the UGC (Promotion of Academic Integrity and Prevention of Plagiarism in Higher Education Institutions) Regulations, 2018. Plagiarism is the “wrongful appropriation” and “stealing and publication” of another author’s “language, thoughts, ideas, or expressions” and the representation of them as one’s own original work. Plagiarism is considered academic dishonesty and a breach of journalistic ethics. According to a gazette notification, for students, plagiarism of up to 10% would not invite any penalty while that of between 10 and 40% would mean the students will have to submit a revised research paper within six months. In case the similarities are between 40 and 60%, students will be debarred from submitting revised paper for one year. A student’s registration for a programme will be cancelled if the similarities are above 60%. Study daily The Hindu news headlines and current affairs, to crack all competitive exams like NDA, CDS, Navy, and AirForce easily. 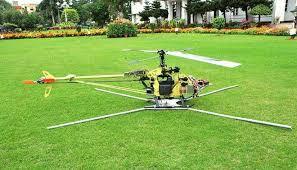 A 10 kg rotary drone codeveloped by Hindustan Aeronautics Ltd (HAL) and IIT Kanpur was recently flown for the first time in Bengaluru. 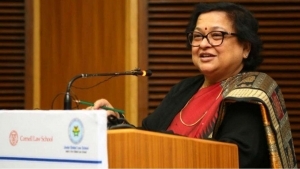 The Central government on Friday notified the appointment of Delhi High Court Acting Chief Justice Gita Mittal as the new Chief Justice of Jammu and Kashmir High Court. Justice Mittal will be the first woman Chief Justice of J&K High Court. The State’s last Chief Justice, Justice B.D. Ahmed, retired on March 15, 2018. The Centre also notified the appointment of Patna High Court Chief Justice Rajendra Menon as the Delhi High Court Chief Justice. The Centre on Friday notiﬁed the appointment of Uttarkhand High Court Chief Justice K.M. Joseph as a Supreme Court judge, seven months after the apex court collegium recommended his name for elevation. The government also notiﬁed the appointments of Madras High Court Chief Justice Indira Banerjee and Orissa High Court Chief Justice Vineet Saran as judges of the Supreme Court. The Lok Sabha on Friday passed a Bill establishing a National Sports University in Manipur as part of a vision to enhance country’s standing in sports. The National Sports University Bill, 2018, which sought to replace an Ordinance promulgated on May 31, was passed by a voice vote. Mnangagwa wins Zimbabwe’s ﬁrst post­Mugabe election. Since independence from Britain in 1980, Zimbabwe has known only two Presidents — Mr. Mugabe, who ruled with an iron ﬁst for 37 years, and his erstwhile right­hand man Mr. Mnangagwa, who was appointed after Mr. Mugabe was forced out by the military in November last year. Adani won the rights to retail CNG to automobiles and piped cooking gas to households in six cities on its own and another ﬁve in joint ventures with state owned Indian Oil Corp (IOC). According to the Petroleum and Natural Gas Regulatory Board, IOC, on its own, won rights to four cities. State gas utility GAIL’s retailing arm, GAIL Gas, managed to get rights for three cities. OBO Bettermann Holding GmbH &Co., a German manufacturer of lightning protection and cable management products, plans to strengthen its manufacturing presence in India over the next few years. (The Hindu news headlines and current affairs in English). The Indian subsidiary OBO Betterman India, which has completed 10 years of operation, plans to invest an additional ₹50 crore over the next three to four years as part of its expansion plans. Fruit juice maker Manpasand Beverages is planning to invest ₹1,500 crore to set up 10 manufacturing plants in the country by 2020 in its eﬀort to drive volumes. The Indian teams came back strongly to reach the podium at the Asian Nations Cup chess tournament on August 3, 2018. The men won the silver and the women the bronze. The men, comprising B. Adhiban, S.P. 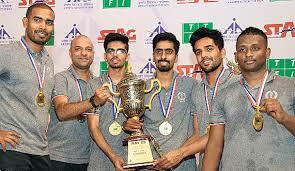 Sethuraman, K. Sasikiran, Surya Shekhar Ganguly and Abhijeet Gupta, ﬁnished with 10 points to take the runner­up spot behind Iran Green (13 points). The women’s squad, featuring D. Harika, R. Vaishali, Eesha Karvade, Padmini Rout and Aakanksha Hagawane, took its tally to eight points after drawing with Iran Green 2­2 in the ﬁnal round. It was third behind China (13) and Vietnam (10). 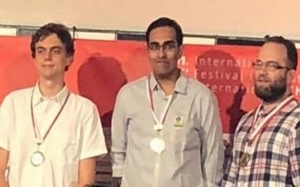 Grandmaster Vaibhav Suri won the Biel Masters chess title with an unbeaten display and teenager Prtihu Gupta made his second Grandmaster norm in the premier nine­round competition here. Germany’s Dennis Wagner topped an eight­way tie for the second spot at 6.5 points. Top seed Pavel Eljanov (Ukraine) took the third spot. A proposal to radically alter the Davis Cup of Tennis will be voted on from August 13 to 16 in Orlando, Florida. 1899 – The idea of Davis cup is conceived by four members of teh Harvard University tennis team, including Dwight F. Davis after whom the tournament was later named. 1900 – The Cup begins as a competition between US and Great Britain at Longwood Crictet Club in Boston. Amrica wins it 3-0. 1905- The competition expands to include France, Austria, Belgium and Australia, a combined team from Australia and New Zealand. serving as a means to an end. Study daily The Hindu news headlines and current affairs in English with The Tutors Academy.